Discovered through years of research in wound healing, PSP®, which stands for “Processed Skin Cell Proteins” is a patented cosmetic ingredient developed by leading Swiss scientists and available exclusively in NEOCUTIS skincare products. PSP® is referred to as the “CADILLAC” of peptieds, is an optimal blend of nourish proteins and polypeptides. PSP® harnesses the power of Human Growth Factors, Interleukins another Cytokines, to help deliver state of the art skin revitalization. For Eye-Area skin that is Dry. LUMIERE RICHE combines the skin rejuvenating action of PSP® with intensive moisturizers, caffeine, skin soothing botanicals and wild yam extract to help target the visible signs of skin aging and dryness. Minimize the appearance of sagging and mid-life textural changes with Wild Yam Extract. Dry skin. The first and original skincare cream formulated with PSP®. Non-comedogenic – won’t clog pores. Supercharged serum with unprecedented amount of PSP® and pro-collagen amino acids to help provide faster and more visible results. 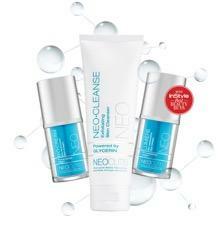 Promotes youthful, firm and supple-looking skin. Gently re-texturizes and purifies without stressing skin. Formulated without harsh sulfates, dyes or fragrances for skin that feels fresh, clean and soothed.